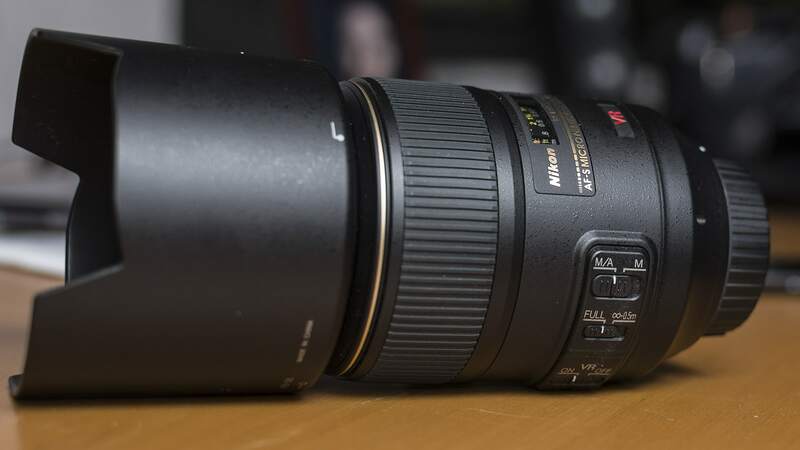 The 105mm is currently the best Macro lens Nikon has on offer. I bought it to replace my 60mm Macro lens. Does it live up to the hype? Is it worth the investment? The AF-S VR Micro-Nikkor 105mm f/2.8G IF-ED is Nikon’s flagship macro lens. It was the first macro-lens that offered image-stabilization from any brand. 105mm was long considered a standard in macro-lenses (it’s already Nikon’s 10th version) as it gives you some reasonable working-distance. It lets you get close to your subject and shows details other lenses can’t show. It also doubles up as a moderate tele-lens . Why did I replace my 60mm macro? Ah, that question. Yes, I used to own a fabulous 60mm macro lens. And I used it happily for many years. It wasn’t really the quality of that lens that made me want to replace it. After a long period of not shooting so much, I became interested in photography yet again. Mainly by watching lots of tutorials on Youtube, I got intrigued by the properties of prime-lenses. Prime lenses are lenses with a single focal length, so you can’t zoom with them. This makes them a lot sharper and more precise than a zoom-lens could ever be. I bought a 35mm 1.8 to test it out. Liking the results, I started contemplating a prime-lens kit, existing of 3-4 lenses that would be light to carry, and have lots of creative options. At first the 60mm fit perfectly in that image. However I soon learned I wanted more out of a lens. I wanted a lens with more reach, and a lens that could combine several functions. Also 60mm was way to short for a tele. The 105 was the lens I was looking for. It has a nice short tele, does great macro shots, and even has fast autofocus. Autofocus was a bit of an issue with the 60mm; it was the old version, without the built-in focus motor. Another innovation was the Vibration reduction in the lens. I wasn’t used to hand holding lenses for slow shots (journalistic work seemed to be more about freezing the moment, so slow shutterspeeds were never a thing). But shooting video I started to understand its use better. The 105mm allows for more distance between the subject and the lens, making it suitable for more than just studio shooting . In an uncontrolled environment (outside), with low light or other constraints it became a very interesting addition to the lens. How is it to shoot with it? It really feels like a proper lens. It is built like a tank, as is to be expected of a professional piece of glass. It has a nice weighty feel to it  It is also comfortably big in my hands, yet still compact in storage. Shooting with it is a great experience. Autofocus is quick for normal shooting, and even usable with macro shoots. At first I was quite uncomfortable with the idea of not being able to zoom. Then I just set myself the task of not changing the lens, and just sticking with it for a while, and I learned to deal with it quickly. It delivers wonderful contrasty images. The bokeh  looks nice and creamy. I even shot a few portraits with it. It’s truly a very versatile lens. I shot a lot of images with the lens already, and you can have a look at the gallery below for some examples. The images in this set were all taken with the 105. The pictures were taken on a sunny day, in the nearby archaeological theme park ‘Archeon‘. The park is a nice place to test out gear, with many different subjects to shoot, ranging from nature close-ups to fast-paced gladiatorial combat.